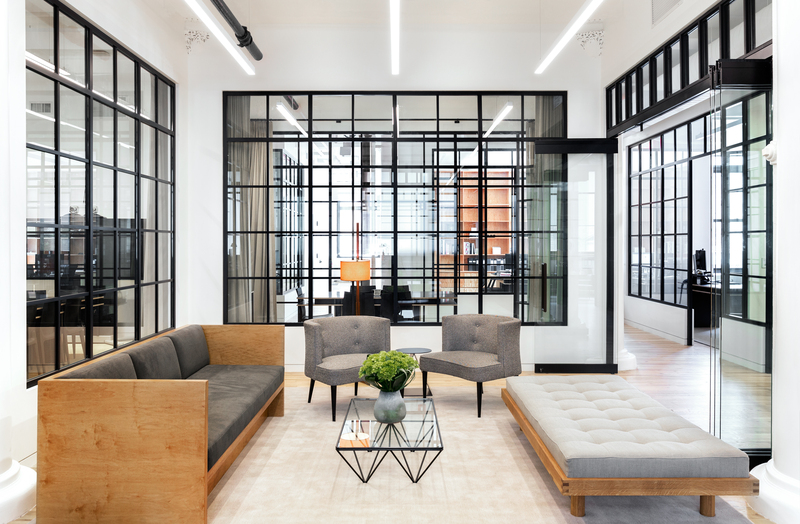 Located in Louis Sullivan's iconic Bayard–Condict Building, our design for this Luxury Group's NY Headquarters challenges conventions by combining refined detailing with rough, construction-grade materials in place of the typical high-end finishes one might expect in a luxury office. 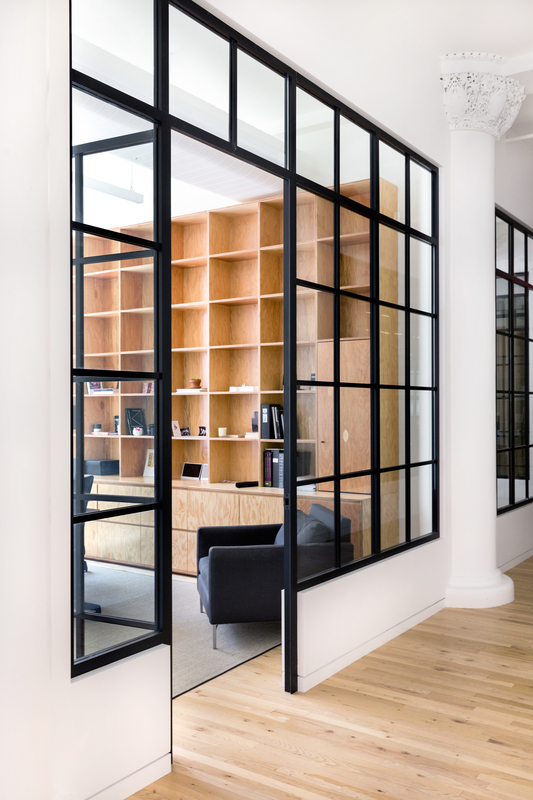 Regionally sourced stone, construction-grade plywood, and cold-rolled steel are presented in a new elegant context. Our design approach was, in part, inspired by this Luxury Group's ethos that propels its brands to challenge conventional ways of making and whose material and production research and innovative environmental profit & loss model is encouraging an entire industry of fashion brands to reconsider their own economic, environmental and social impact on the world. 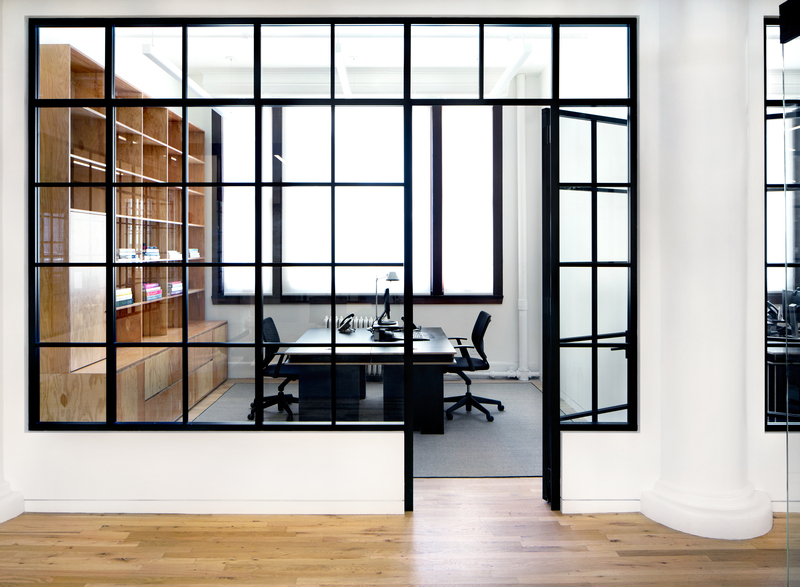 Individual offices are located at the perimeter and are defined by walls that reference industrial steel and glass sash windows. These walls provide degrees of privacy while maintaining a strong visual connection between members of the community and allow for sunlight to reach all areas. 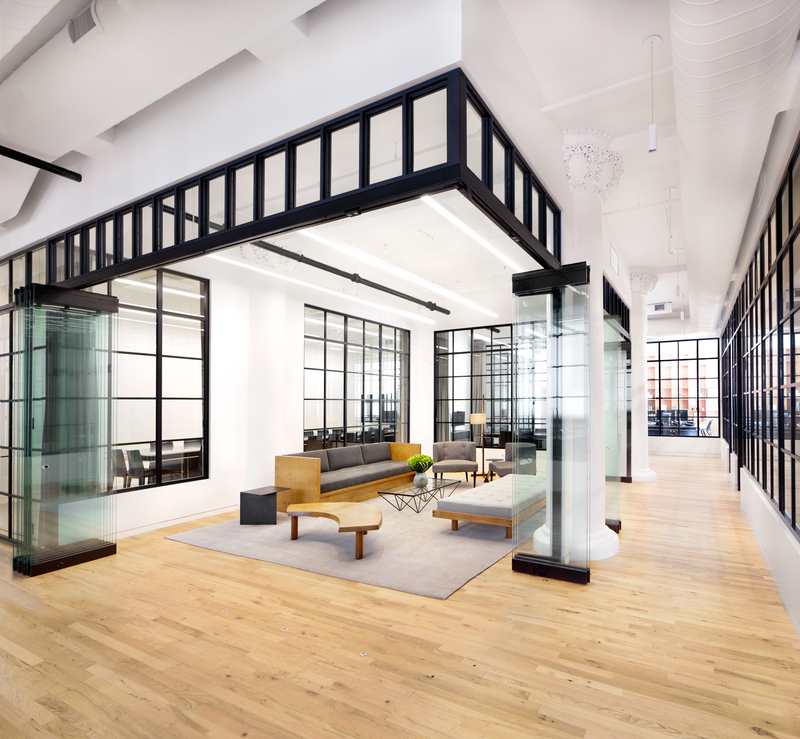 Collaborative meeting rooms and a shared, flexible work lounge are at the core of this office. 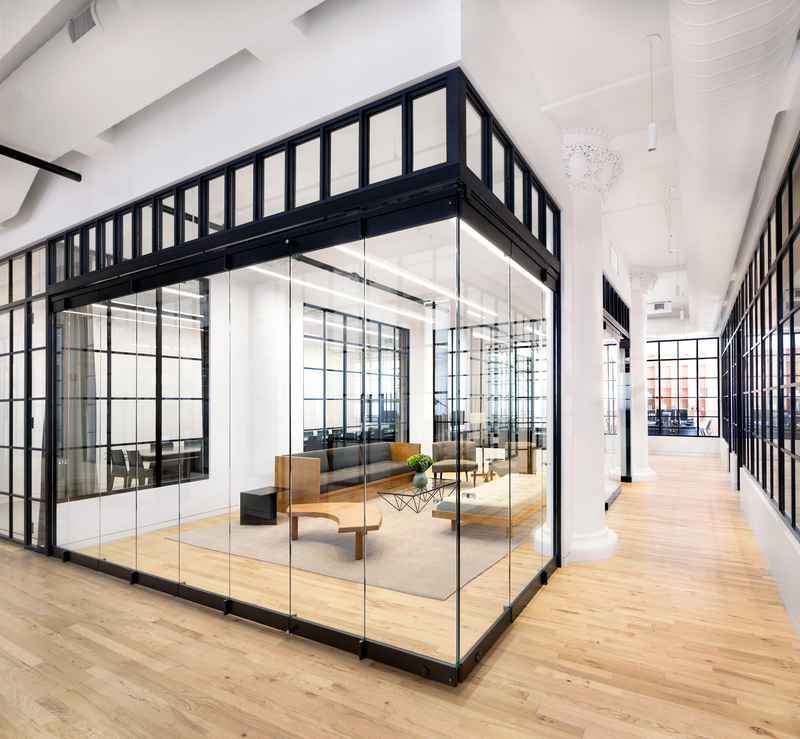 The work lounge is defined by folding, retractable glass walls that allow the space to be transformed from an enclosed meeting room to an open flexible work lounge that fosters community and collaboration.